I know how this works. I know that you took a look at my images, thought they were nice and now you want to know how much all this costs. I find that this investment page is the most visited page on my site, and for good reason. Cost is the number #1 determining factor that people look at when choosing a photographer. As an artist I wish it wasn't so but the reality is that people ask what things cost more often than any other question. The hard part of all of this is what I can't just put on a price sheet that shows you why hiring me is different. I can't show you how beautiful your images will be in person, you can't feel the texture of the prints, hear the crack of the albums as you open them, and see the true beauty of what I offer. I can't communicate how great you will feel seeing your images up on the big screen for the first time. How you will fall in love with your family all over again, how you might just shed a tear at how excited you will be to display these things in your home. I can't tell you that you will give me a hug in gratitude when you receive your new custom-made, professionally designed and created album because you know that this will be a part of your family legacy for generations. How do I effectively communicate that to you? That is that hard part. So for now, you want to know how much things cost. Here it is: Prints start at $100 for an 8x10. Wall Portraits Collections start at $300 and go to life-size. In my experience, because of the number of poses, priceless expressions, and the remarkable locations, clients who are primarily interested in gift prints spend between $300 and $1000. *If you have questions regarding prices on specific sizes please do not hesitate to ask. Seraphine Photography wants all clients to leave the studio with all of their images. Full resolution digital negatives are available as an add-on to a product purchase and are priced on a sliding scale. 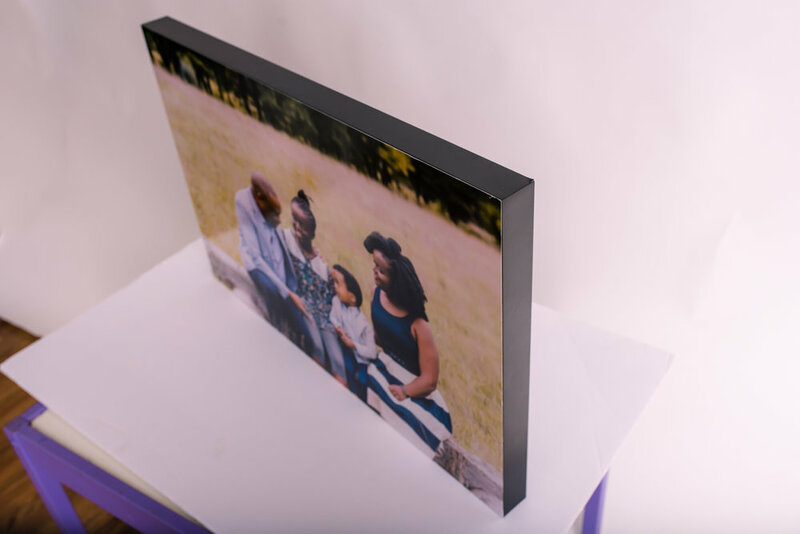 Your custom package purchase that includes wall-art, album or Gift Print purchases determines the price of your digital negatives. All purchases are backed by our 100% satisfaction guarantee. You will LOVE your images or I will reshoot, refund or replace. No questions asked.